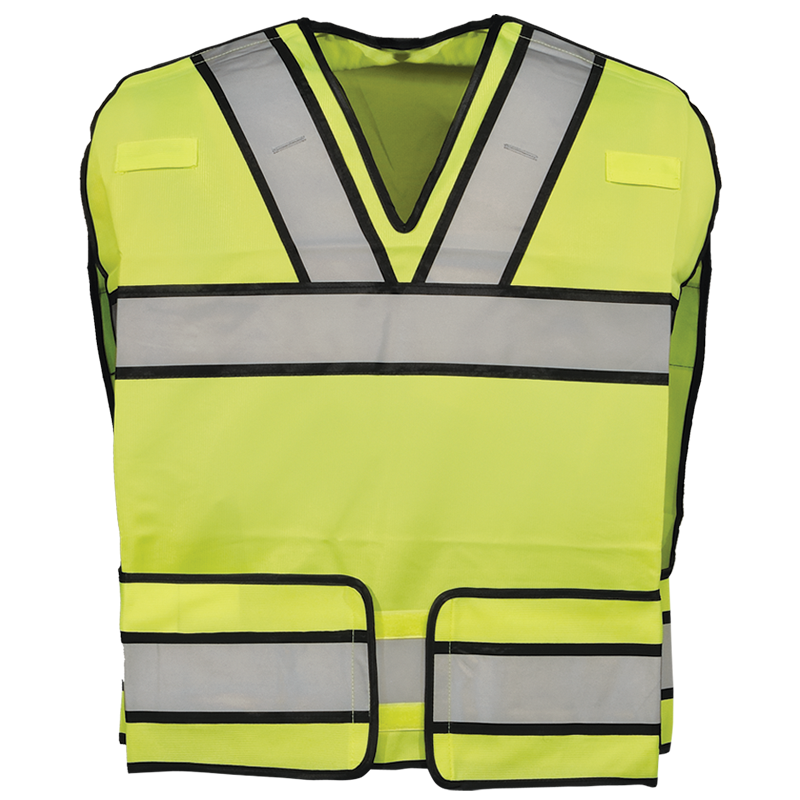 Lightweight breathable safety vest with a Four Point Breakaway design. ANSI 107 Class 2 and ANSI 207 compliant. Lime Yellow mesh body with Silver Scotchlite trim with 1/4" black accent edge over both shoulders, around the chest and the waist. Velcro breakaway belt and shoulders. Mic Tabs on both shoulders. Enter your ZIP Code below to find the dealer nearest you. Copyright © 2019 Gerber Outerwear. All rights reserved. Designed & developed by Digital Hill Multimedia, Inc.